We do not buy trays of cupcakes often but we recently had a little party with the grandparents and the kids asked for store-bought cupcakes. 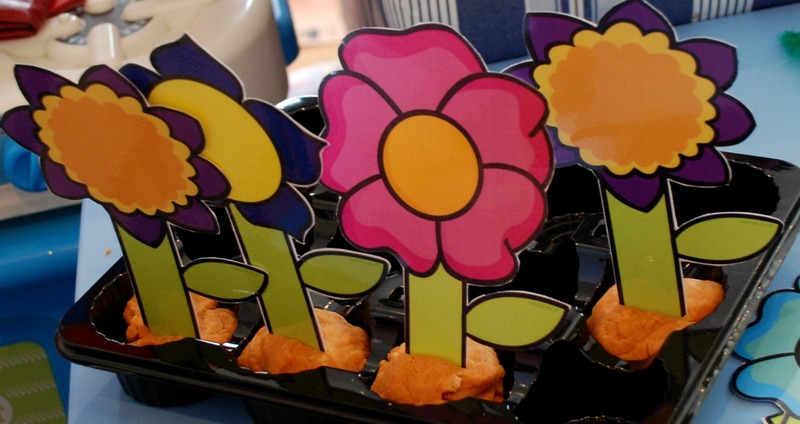 The tray that the cupcakes came in reminded me of the flower trays that you see in garden centers. So naturally we had to have a go at using our tray. I mentioned the idea to my daughter and she jumped on board. 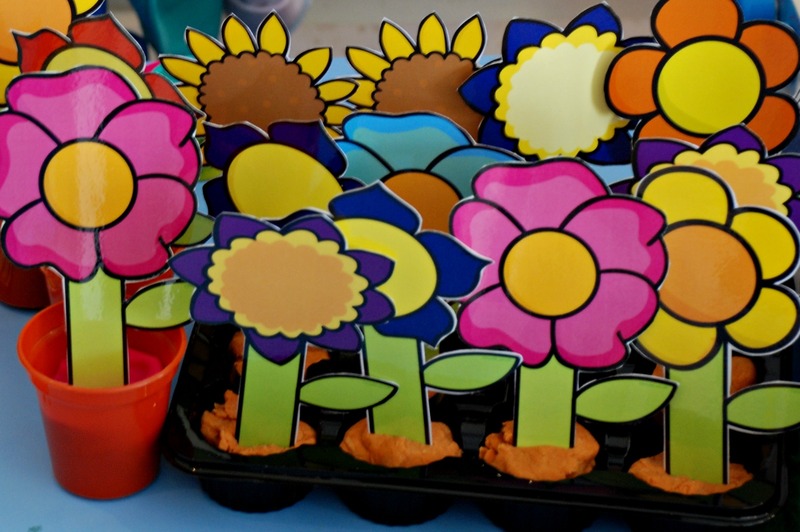 My daughter ended up filling up the tray and still wanted more flowers for her shop so we “borrowed” the mini flower pots that we were supposed to be using for an art project and we used some of the colourful store-bought play dough from my daughters ice-cream shop. 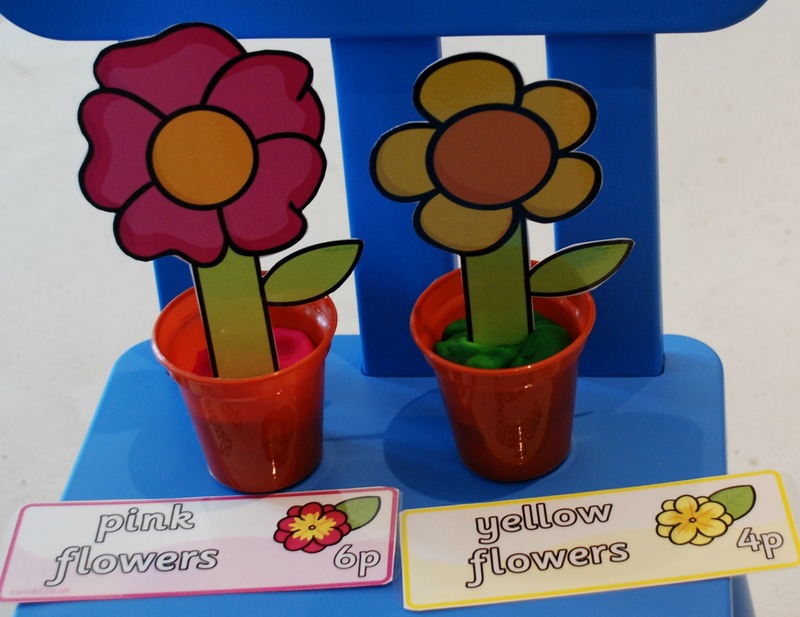 She also dug out her flower price labels. 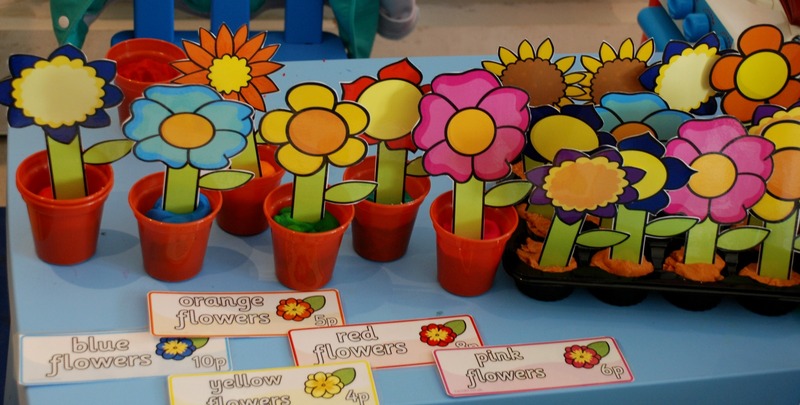 (There are a number of different versions of these flower price labels on Twinkl both are free – one with white letter writing and one with black letter writing). We store all of the role-playing pages and labels in a box on the kids bookshelf and as a result they tend to use and reuse the pages in a number of different play scenarios. 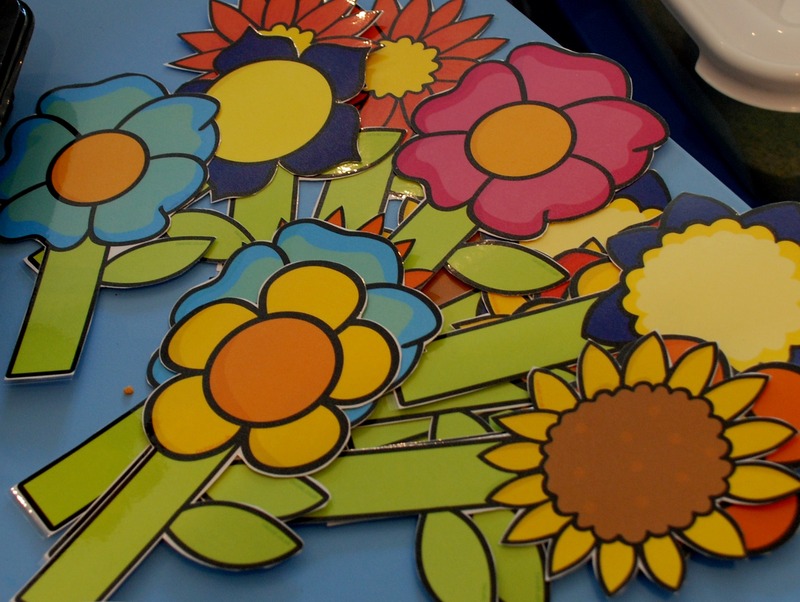 and a close up of some of those lovely flowers. I really love these flowers I think I am going to have to find a way of using them in an art project soon. 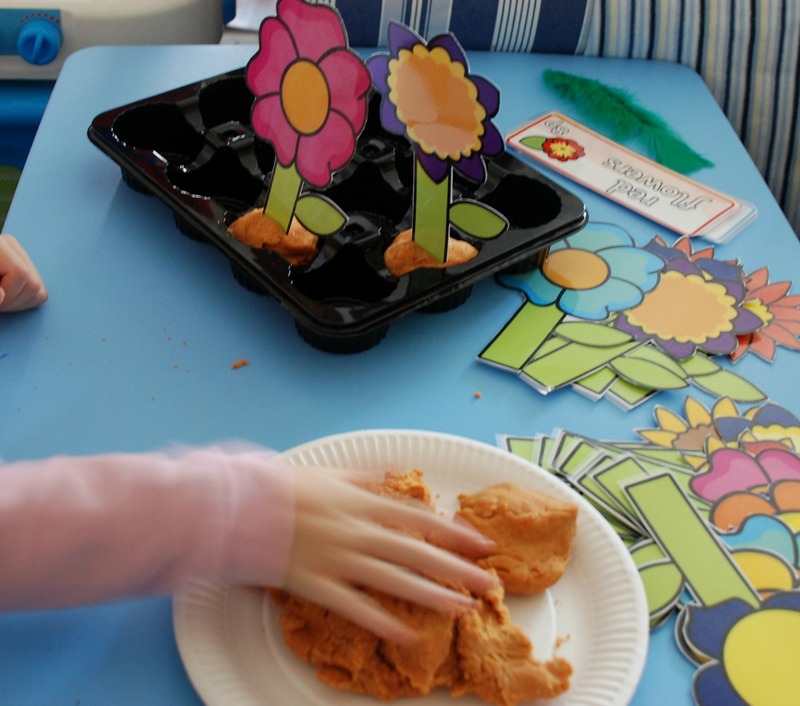 This entry was posted in Homeschooling, sensory play and tagged flower shop role playing, flowers, home ed, homeschooling, play dough, playdough, role playing, Twinkl. Bookmark the permalink.